The Nature’s Place recall is an addition to the Nature’s Promise brand recall from Ahold Delhaize Company. 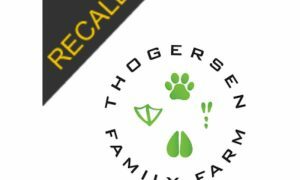 This is another recall due to potentially elevated levels of Vitamin D.
The recall includes all lots of the Real Country Chicken and Brown Rice Dog Food with UPC 72543998959 for the 5 lb bag and UPC 72543998960 for the15 lb bag. This addition was announced within the FDA Alert to Pet Owners about Potentially Toxic Levels of Vitamin D in Several Dry Pet Foods. All other products in this alert have previously been added to the Safe Pet Treats app. Please see additional details below. These products have been added to the Safe Pet Treats app. Available on iTunes and Google Play. Click here for the FDA website notice.